Schools can also minimize liabilities by requiring each student to store his or her phone in an assigned, secure compartment. Phones that are properly stored are less likely to be stolen by other students, and the school is less likely to be held accountable for the theft. Also, illicit videotaping and photographer can also be prevented by requiring students to check their phones at the door and store them in lockers before class begins. Students who may be using phones for criminal activities also have no way of communicating with each other during class if they are required to lock their phones up before the bell rings. 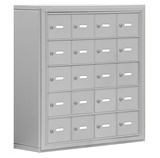 Student cell phone lockers for schools are available in a wide range of sizes. There are 10, 12, 15, 20, and 25 door models that can be combined to accommodate classroom sizes ranging from small rural elementary classrooms to large college interdisciplinary courses. Each door features either a key lock or a combination lock. Locks of both types can be opened by school administrators using a master key that comes with the order. Schools also use these lockers for more than basic classroom management. Many school activities, such as athletics, ROTC, and marching band, require students to wear special uniforms. It is not practical for students to try to store their cell phones in their uniform pocket while they pursue these activities. 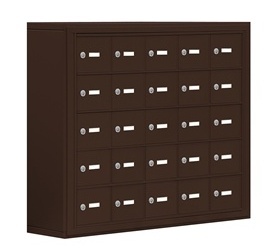 A mobile phone storage locker gives each student a place to not only store his or her phone, but also place car keys, wallets, jewelry, and other personal items that cannot be worn during practice or on the field. Colleges are also installing student cell phone lockers for schools in order to cut down on the rampant cheating that has been going on via text and multimedia messaging. For several years now, college students have been texting exam answers to one another so they would not have to study for tests. With the advent of camera phones, students have also begun using pictures and videos to send answers to each other. This can be easily prevented simply by having each student check his or her cell phone into a locker prior to taking an exam. In some universities as well, various types of research are being conducted that require a high level of confidentiality. Student cell phone lockers for school laboratories help ensure confidentiality by removing the temptation to leak confidential information via text, picture, video, or chat. Experience has already demonstrated that students respond much better to being asked to store their phones in a special secure area rather than told to avoid using their phones altogether. Classroom morale as well as academic focus improves as a result. This article was published on Wednesday 22 August, 2012.